This weekend my husband and I started cleaning out the attic and trying to organize things that we just tossed up there when we moved in. For the 10+ years that we were in the quilting industry, I collected patterns, fabrics, and various other things that I thought would be useful someday. Well, today was like Christmas in June for me. I started going through several containers of these items and loved every minute of it. 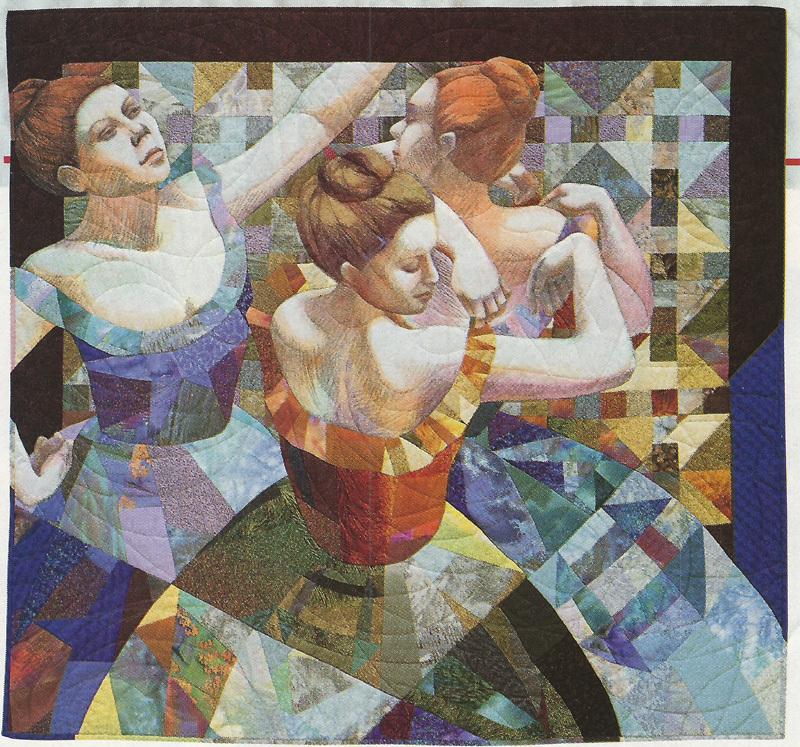 I will share many of the projects, tools, etc in future posts, but for today, I wanted to post some photos that I had saved of quilts that we had seen over the years that were truly stunning and inspirational. There were so many quilts that we were privileged to see that we don’t have photos of, but for some reason, I saved these clippings. There are too many photos to post in one sitting, so the next couple of posts I share will be about this same thing. Enjoy! 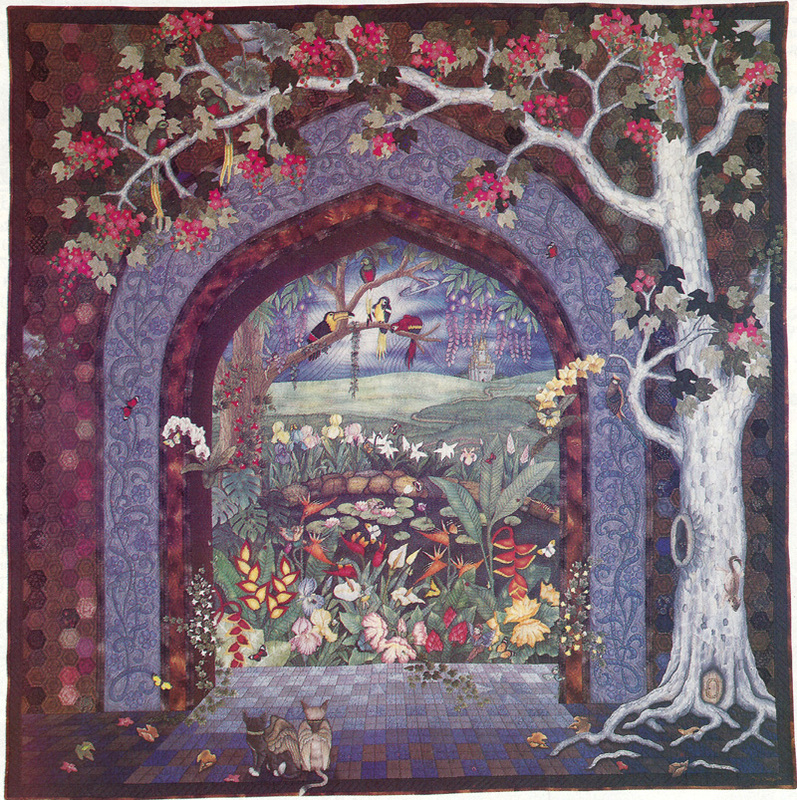 Yes, this is a quilt, not a painting. 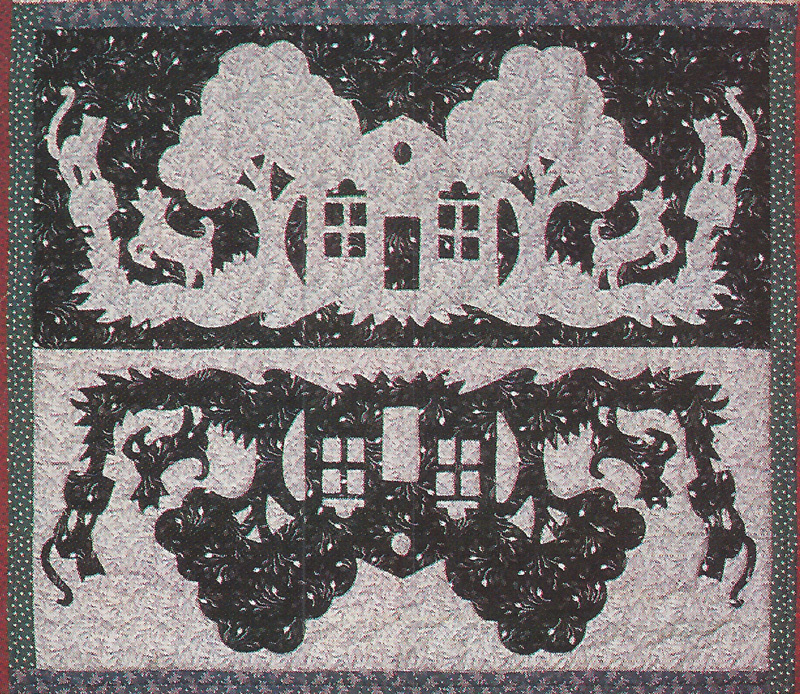 Really simple idea that makes a striking quilt or wall hanging. 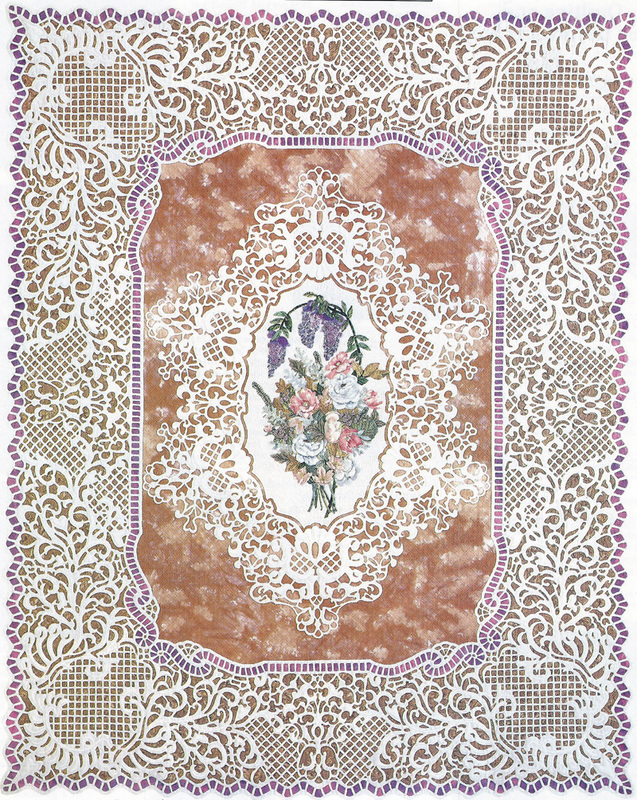 Again, this is a quilt, not a painting…the white was appliqued in one piece over the background. Truly stunning!